Gant Eyewear maintains the high-quality casual style of the iconic namesake lifestyle brand. The Gant brand is a symbol of historical American sportswear heritage which revolutionized the fashion industry through detailed craftsmanship, effortless style and innovative design. Known for developing cutting-edge trends that represent individuality, the Gant name stays ahead of the competition by setting itself apart through authenticity and quality. 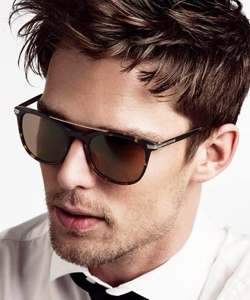 Gant Eyewear offers a modern, classy look; classic American style with a European touch. Since 1949, The Gant brothers operated under the motto that with Gant – only the best is acceptable. True to their heritage, Gant eyewear offers high quality, vibrant color and influential style with a contemporary take on material and design. Influenced by the classic lifestyle inspirations of Gant fashion such as the Ivy league and oceanview living, Gant eyewear offers effortless fashion, perfect for the chic and edgy, yet sophisticated wearer. Gant is perfect for every occasion.